Lauren Fix is a nationally recognized automotive expert, media guest, journalist, author, keynote speaker and television host. A trusted automotive expert, Lauren provides an insider’s perspective on a wide range of automotive topics, energy and safety issues for both the auto industry and consumers. Her analysis is honest and straightforward. 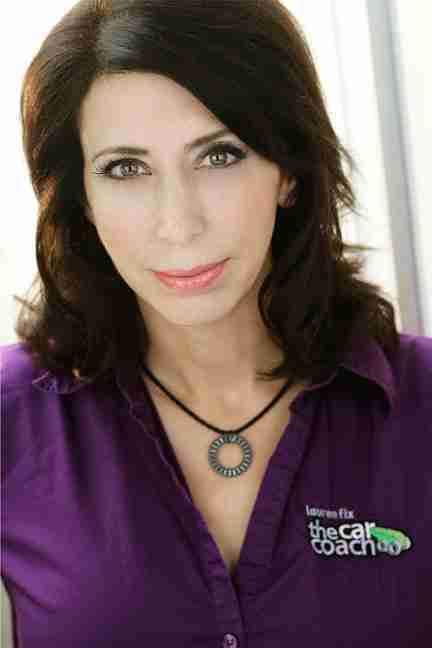 Lauren is the automotive expert for Car Coach Reports, The Weather Channel and Inside Edition. Lauren also hosts regular radio segments on USA Radio – Day Break show. She pens The Car Coach column for NewsMax and Editor-in-Chief of Car Coach Reports. She co-hosts the His Turn – Her Turn Show for ABC.com owned and operated stations. Lauren Fix serves as a President and Board Member and Juror for the esteemed North American Car & Truck of the Year Awards and a Board Member at the Frank Lloyd Wright Gas Station Transportation Museum. She is the CEO of Automotive Aspects, Inc., a consulting firm with a wide range of multi-media services, media consulting, broadcast messaging strategy, public relations and television production. Lauren has authored three books: most recently, Lauren Fix’s Guide To Loving Your Car with St. Martins Press. Lauren’s broadcast experience includes CNN, CNBC, FOX News, FOX Business, MSNBC, HLN, Oprah, The Weather Channel, Live! Kelly and Ryan, Good Morning America, The View, TODAY, 20/20, Early Show, Inside Edition, ESPN, Discovery and NPR to name a few. Lauren previously co-hosted four seasons of Talk 2 DIY Automotive on DIY, National Automotive Correspondent for Time Warner Cable and hosted Female Driven on Lifetime TV. Lauren’s articles and advice have appeared in USA Today, Good Housekeeping, Redbook, Woman’s World, Esquire, First for Women, InTouch and Self. She has contributed content to Motor Trend, Truck Trend, Hot Rod and many other automotive publications. Lauren is a member of the Society of Automotive Engineers (SAE), the Society of Automotive Analysts and is an ASE (Automotive Service Excellence) certified technician. She inherited her love of all things automotive from her father, a Professional engineer. Lauren has been fixing, restoring and racing cars since the age of ten. She has been advising drivers almost all her life. Lauren is often asked to speak to groups around the world about her success in marketing, motivation, entrepreneurship, parenting and other lifestyle topics. Lauren was named the 2015 WIN Award, 2013 SEMA Business Network “Mentor of The Year”; SEMA Business Network 2012 Woman of the Year; and awarded various “Automotive Communications Awards” in 2012, 2013, 2014, 2015 and 2016. Automotive Woman Of The Year in 2008 and 2010 Woman of Distinction – Entrepreneur winner. Lauren Fix was inducted into the National Women and Transportation Hall of Fame in 2009 – a very high honor for a hard working automotive professional. America’s top woman in car care, edu­ca­tion and auto indus­try news.